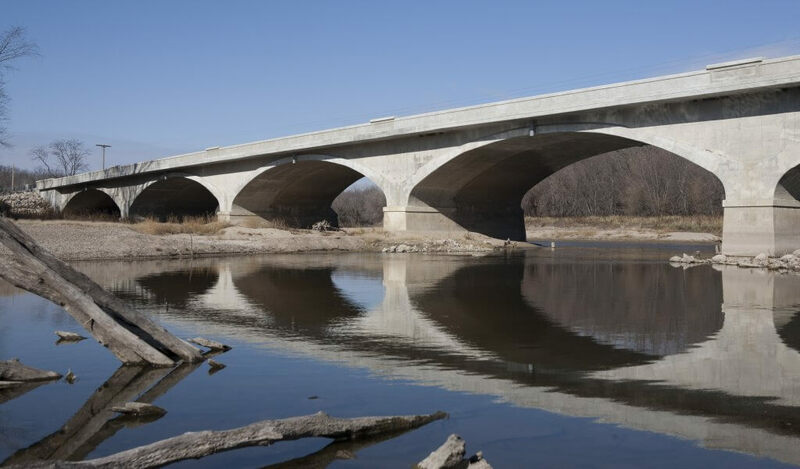 The Eureka Bridge is located 2.8 miles west of the City of Jefferson, the county seat of Greene County, Iowa. In 1992, the bridge had been listed on the National Register of Historic Places as a part of the Lincoln Highway. 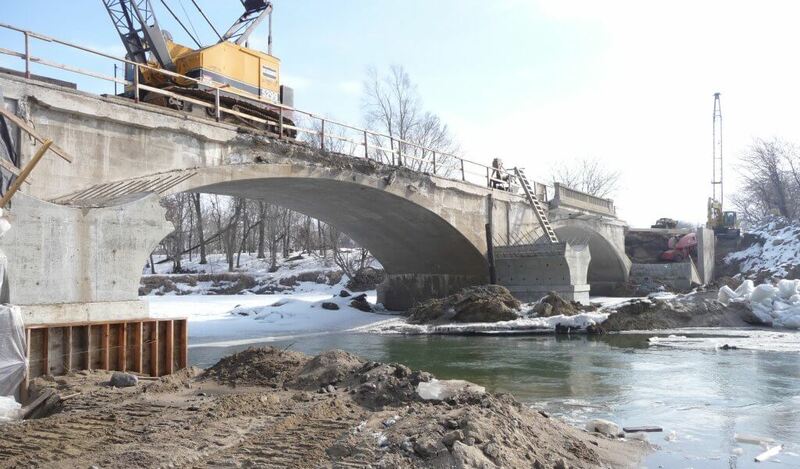 Bridge rehabilitation maintained its historic integrity and brought it up to current highway standards. 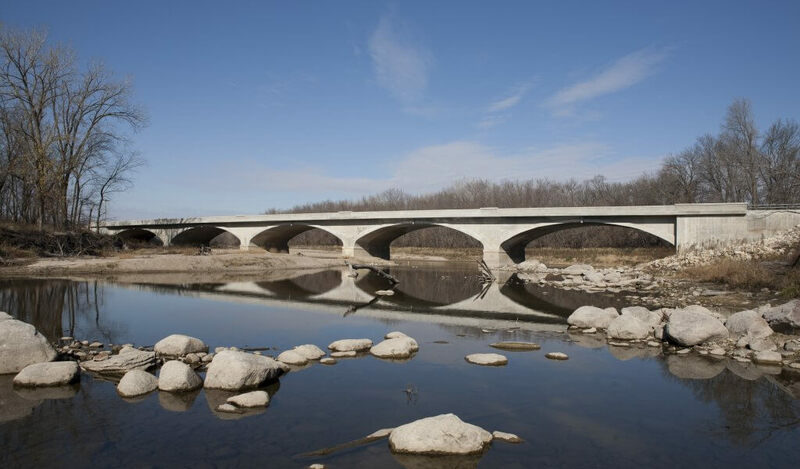 This five-span concrete arch bridge was originally a closed spandrel earth-filled arch. Rehabilitation included the removal of earth fill and the addition of concrete transverse walls to support the deck. The north side of the arch was left unchanged, and the entire north spandrel wall and rail were protected in place. Arches, piers, and abutments were widened to the south, and the south spandrel wall and concrete rail were constructed to replicate original construction. A new “transparent” steel traffic rail was built to protect the historic concrete rails according to current design load and geometry requirements. 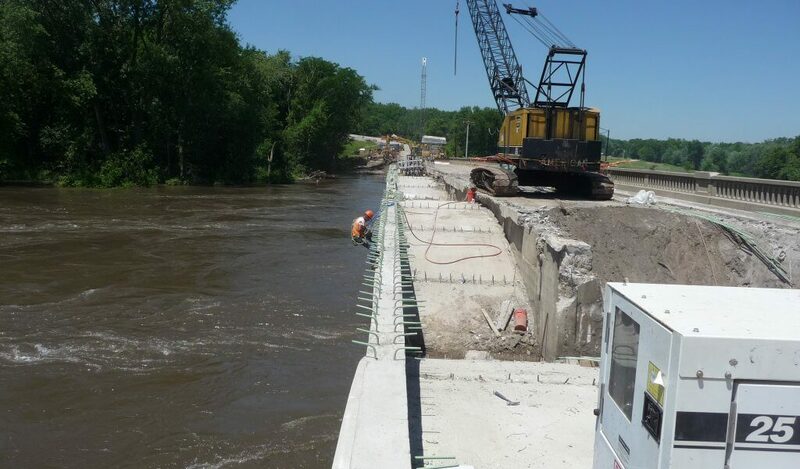 All planning, design, and construction were coordinated with the Iowa DOT, the State Historical Society of Iowa, and Greene County. 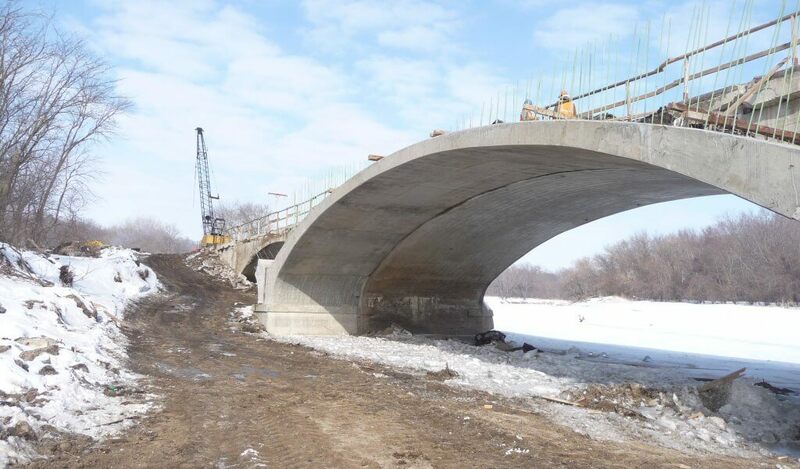 This rehabilitation, while preserving a vanishing piece of Iowa history, will continue to serve motorists for decades to come. Learn more about the rich history of the Eurkea Bridge.